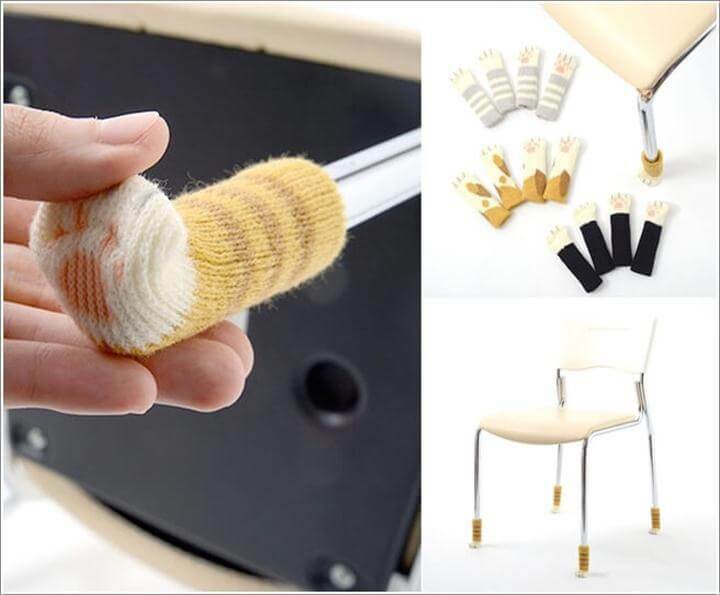 If you often buy an expensive piece of furniture and then end up ruining it due to improper care .then we are on the same boat. 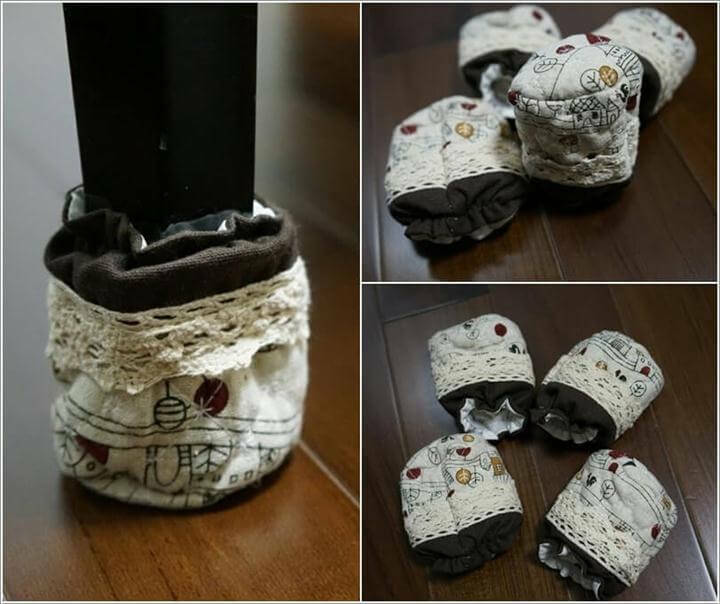 Those beautiful chairs and furniture at our home definitely needs some kinds of protection from different factors that can destroy their beauty and look so have a look at these surprisingly easy 21 DIY Chair Leg Protectors – Cute Furniture Protectors. 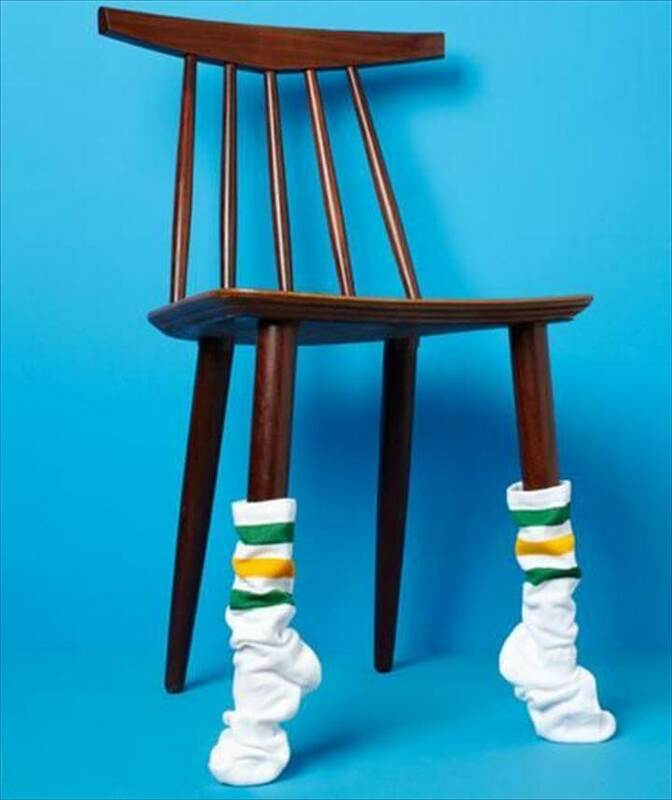 We will discuss a few ideas that are budget friendly and can be used to protect your furniture. 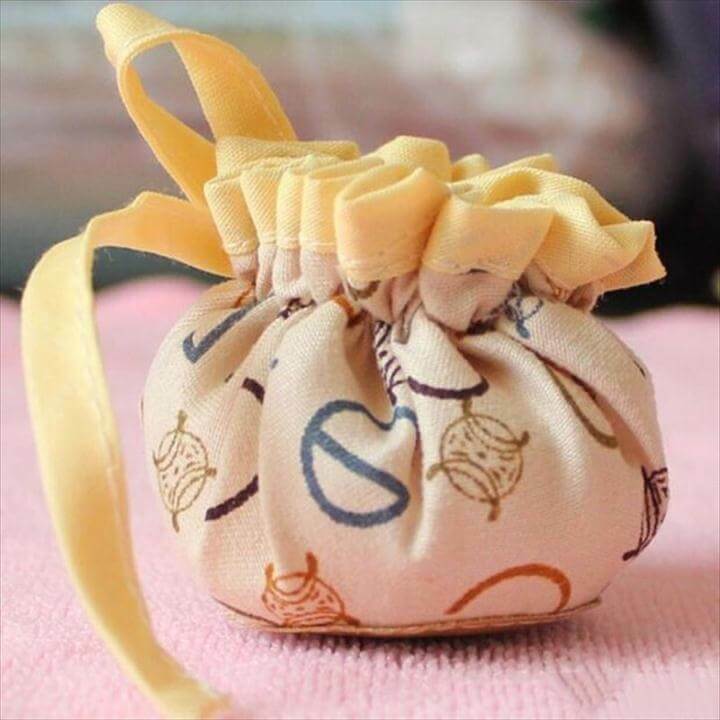 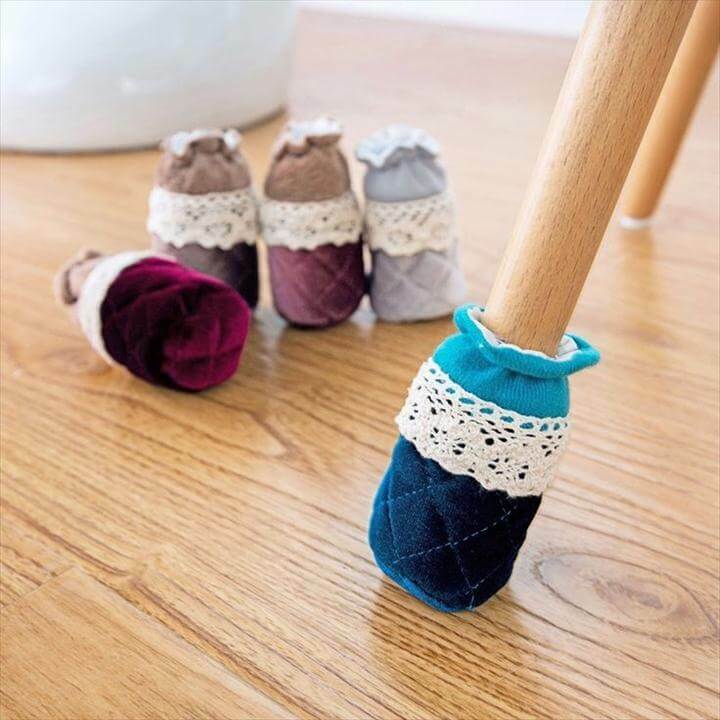 The first project that you see over here are adorable chair protectors that will definitely protect your chair legs form ruining due to friction on the floor and other cleaning procedures on the floor. 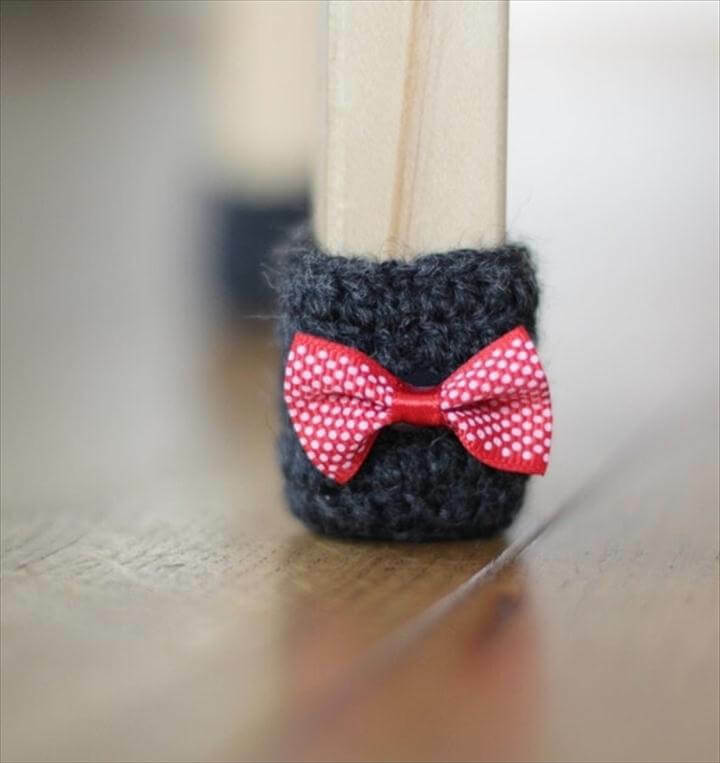 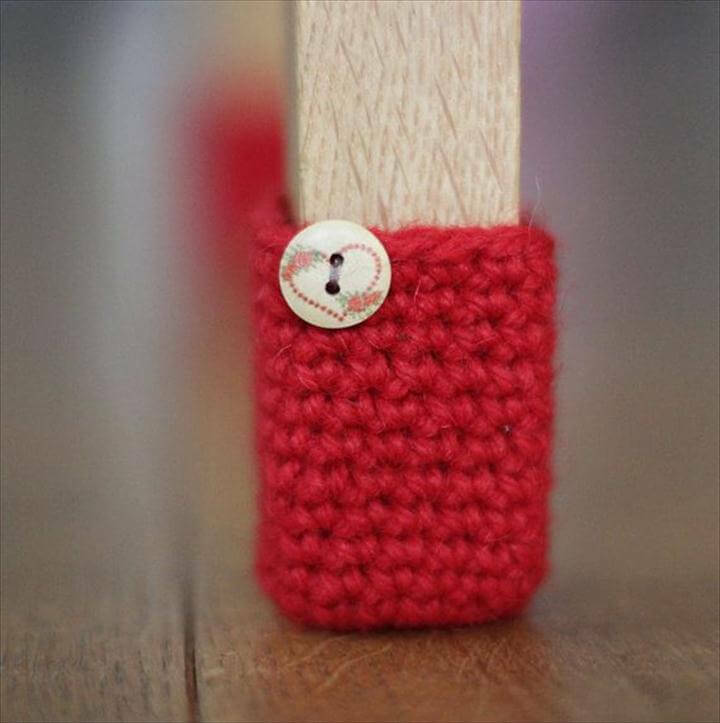 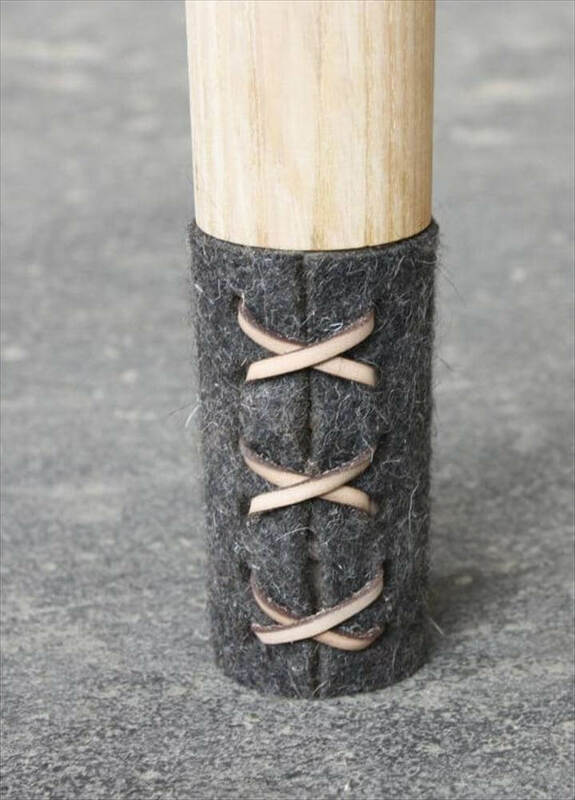 Then we have some other wool chair leg protectors that look equally amazing and quite naughty by looks so try them out using your basic knitting skills. 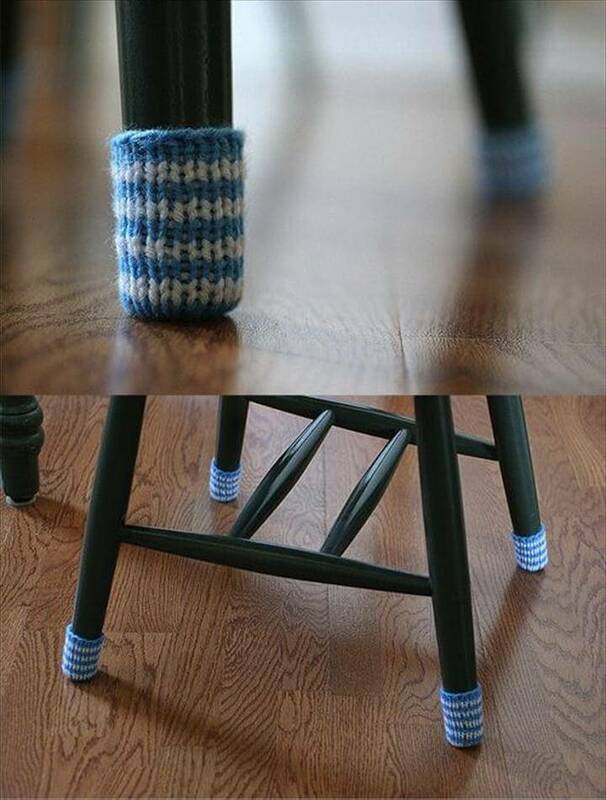 Similarly you can knit stripped chair socks by knitting too. 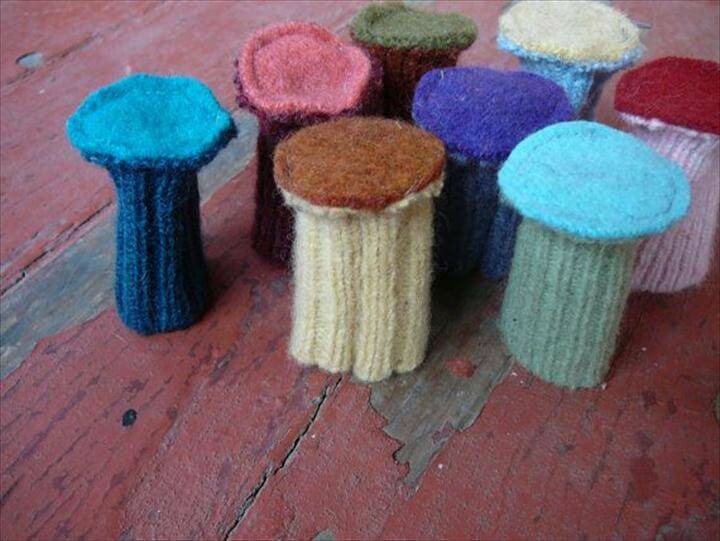 Have a look at these super soft velvet chair leg protectors that are almost like sofa to the chair legs. 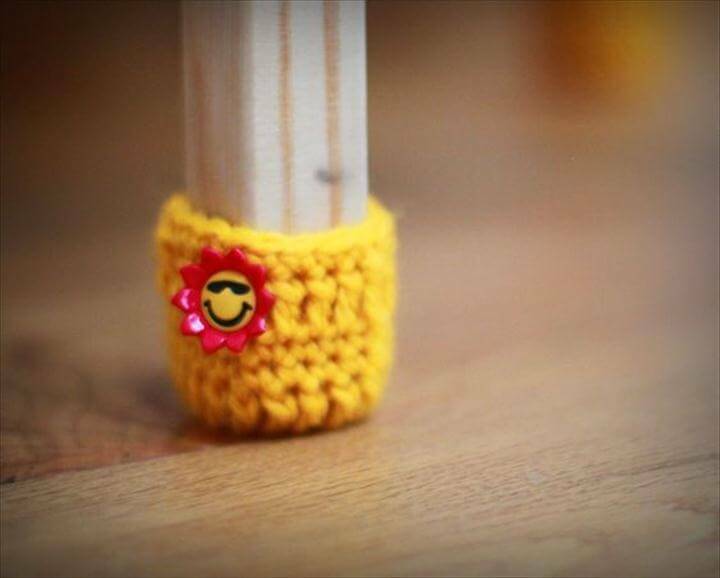 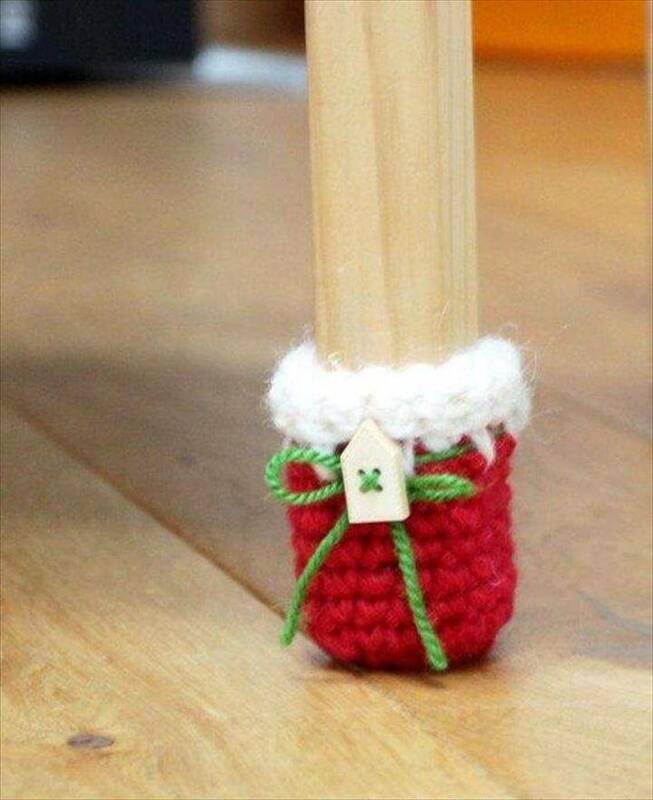 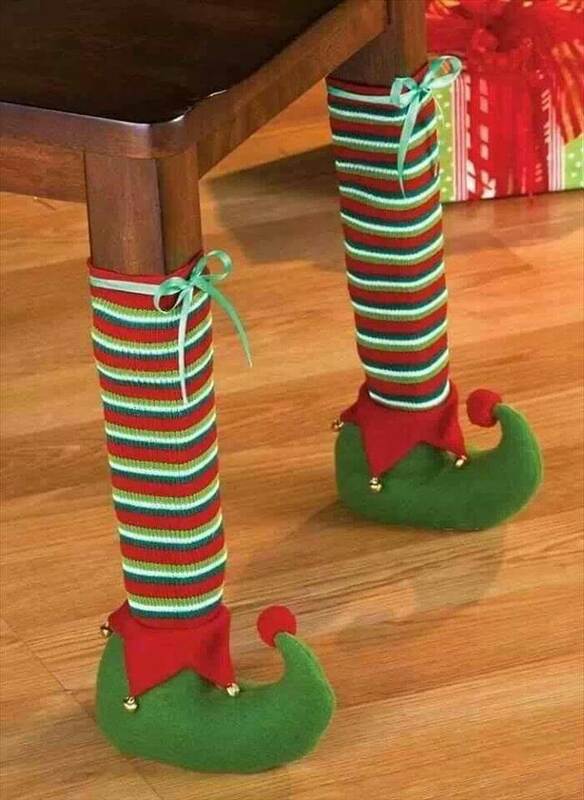 You can also create long chair leg socks like here in this next project that will protect the whole chair leg from bottom to top from climatic and other factors that can ruin them. 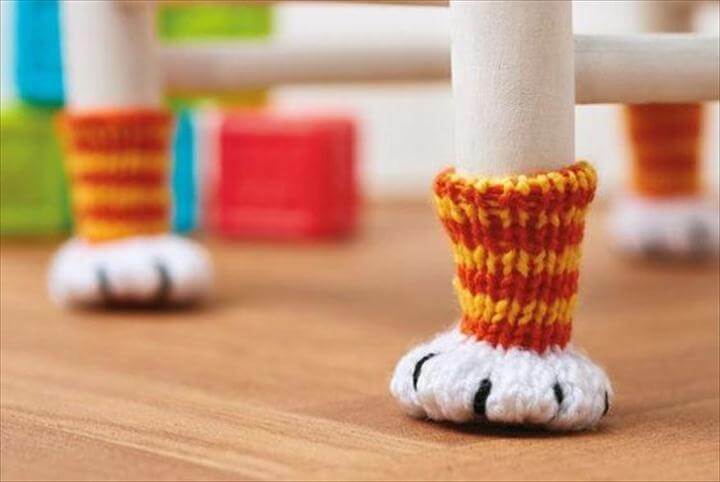 you can also chair legs in cat paw style as you can see in this next project , you only have to be cat love for this and you are going to love this projects to bits. 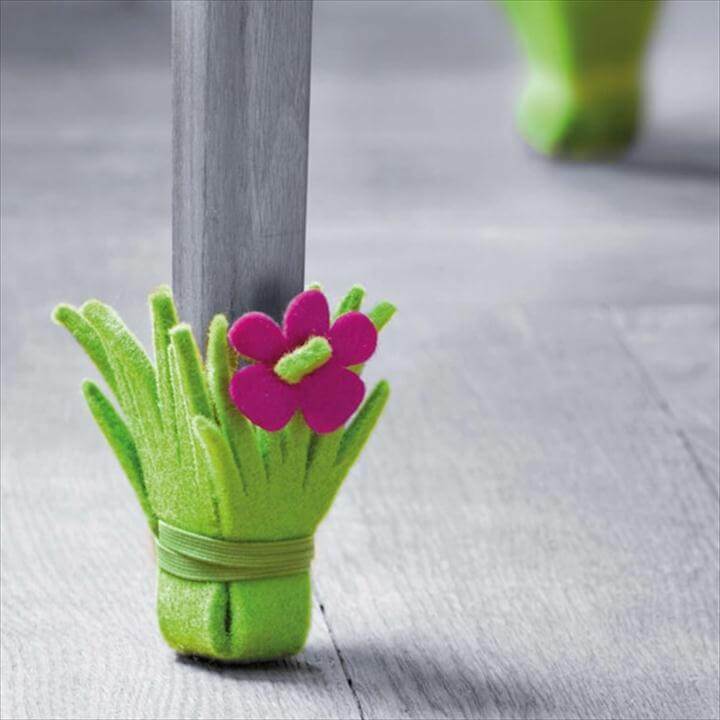 Similarly if you have love in your heart for gardening, you can cut the green felt sheet in a grass shape and then turn them into the chair leg protectors. 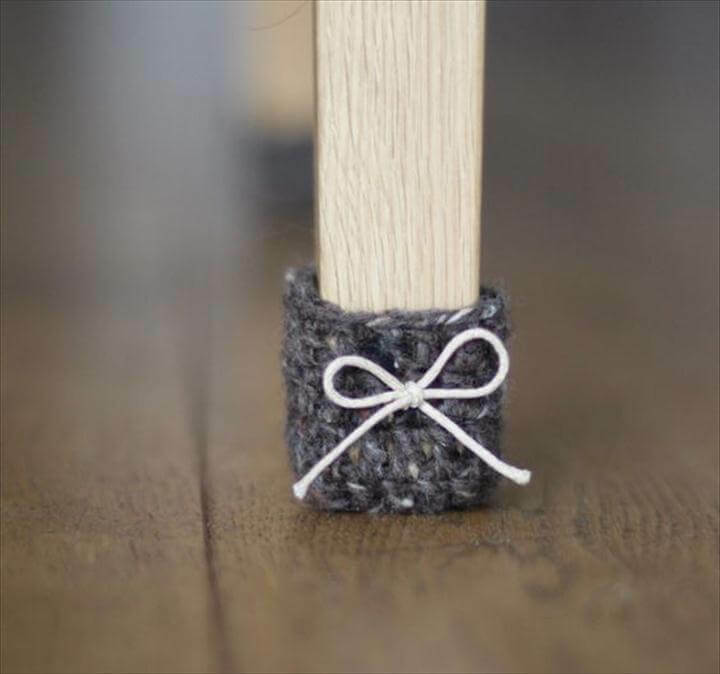 For these projects you can use many fabrics such as wool, jute, leather and many varieties depending on your own choice and availability. 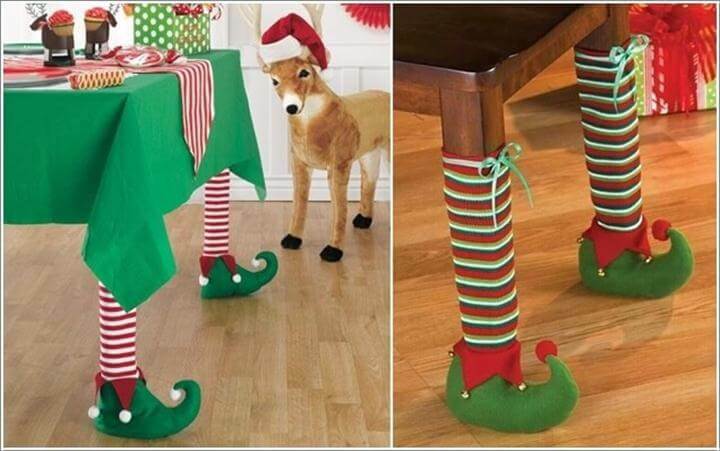 Follow the tutorials of these diy chair leg protectors given in the links below these projects in order to follow them step by step and protect your furniture legs such as table’s chairs, sofa bottoms.